Before I launched this website in January of last year, it took me quite a while to decide how to leverage categories and tags towards making it easier for you, valued reader, to find articles that interest you. 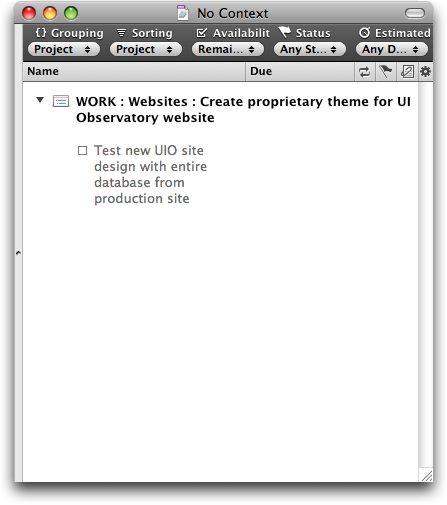 Eventually, I settled on using categories for indicating the general category of the product I was writing about, and applying tags to list the user interface elements I was focusing on. What’s with the wacky language in the second example, you ask? Over the last few months, that system has turned out to be way too complicated. With every article I published, I was tempted to add new tags and categories to reflect new UI elements and product categories that I “zoomed in on” or “observed,” respectively. It was time to fix this, and I hope that the new approach will do just that. In the first step, I have completely removed all tags, and not just from being displayed in the articles’ by-lines, but also from the article database. Secondly, for categories, I have been musing on how, exactly, I want to group the articles on the site. Most UI-related websites and blogs I follow focus almost exclusively on digital devices and software user interfaces. As soon as I fully realized that, I knew that it would make the most sense to categorize my articles based on the complexity and very general category of the devices covered. Usability Basics: Fundamentals of the science of human machine interaction and the art of user interface design. Simple Things: Everyday things with a limited, yet often intriguing user interface, like door handles, coffee pots, and make-up mirrors. According to Donald Norman, users should be able to use these kinds of devices without having to read a manual. Appliances: Stand-alone devices with more complex user interfaces, e.g., ticket vending machines, home theater components, and car dashboards. Computer Software: Any software that runs on personal computers, “smart phones,” tablet computers, etc. This covers applications and operating systems as well as websites. Services: Processes or workflows which are based on interactions between individuals and organizations. It’s these six categories that you will see in the side bar from now on, and I hope you find them easy to grasp and convenient to navigate. 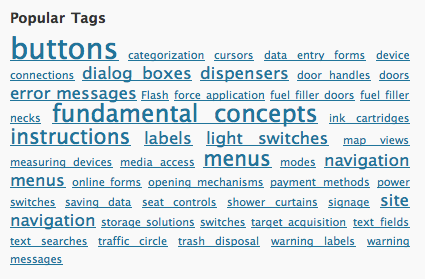 As for the tags, searching for UI elements like buttons or cursors via the site’s search field should bring up more relevant results than the tags I had applied manually. They will not be missed, I’m sure. Let me know what you think about this change: pop me an email and share your likes and dislikes about the new setup with me. 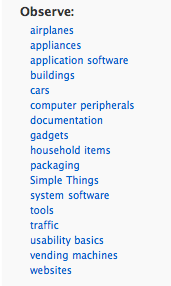 Update 2013-02-26: Added the Services category. Omni Group, the Seattle-based software artisans, have made a name for themselves by creating applications with very meticulously crafted user interfaces. One of their products, the GTD-inspired task manager, OmniFocus, is among the few applications I simply could not live without anymore. … were now swamped with data items. It only took a few days of working with the new version before I got so frustrated with this new flood of data that I decided to send a feature request to Omni Group, asking them to add an option in an upcoming release that would bring back the old behavior. What I hadn’t realized was that the option that I was asking for had already been added — in the very same release as the display change itself. And yet, I had only found it after reading about it in a tweet. Why hadn’t I found that option myself? Because I could not see the forest for the trees. Twice. 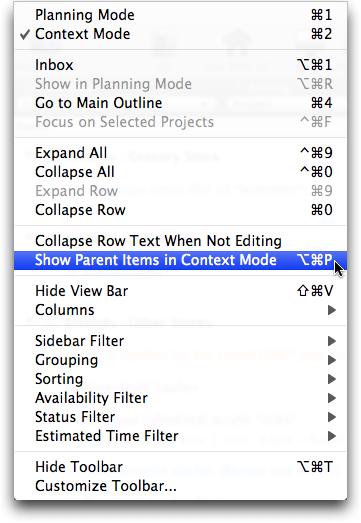 At first, I had searched OmniFocus’ preferences panes for a way to restore the previous behavior, and had come up empty-handed. Then I scanned the menus and failed again in my search, even though the option in question takes center stage in the View menu. 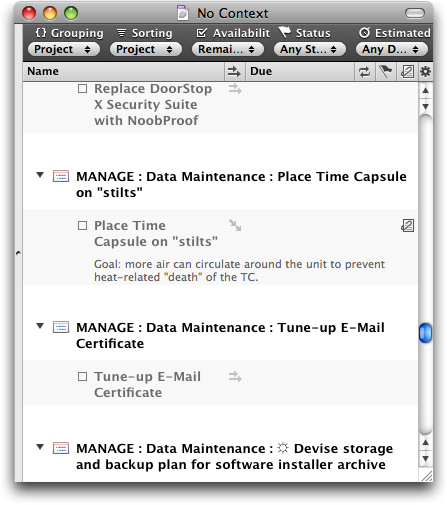 OmniFocus is very flexible in terms of how it displays its data. Consequently, the View menu has lots of items and plenty of sub-menus. What’s more, at the time I did not know the exact name of this option, of course. And so I literally overlooked what I was searching for. In that sense, the View menu is forest number 1, so to speak. 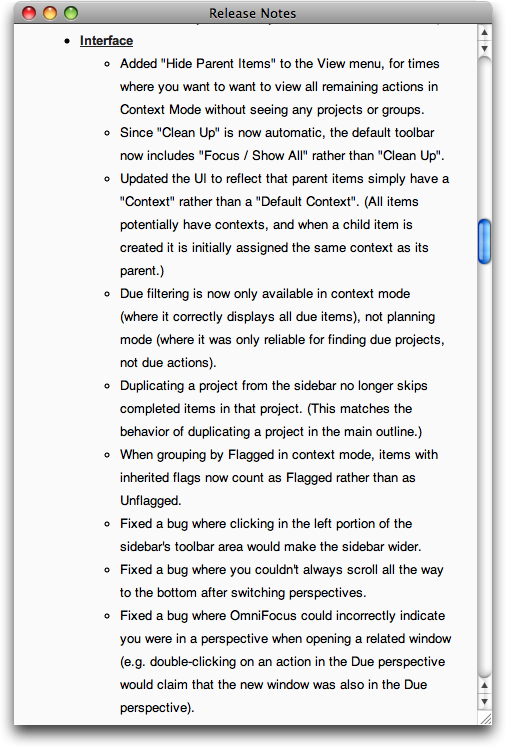 Forest number 2 are OmniFocus’ release notes. Omni Group always provide extensive release notes for all of their applications. Generally speaking, I very much welcome such a level of detail, but it also comes at a price: the sheer amount of information makes it almost impossible to filter out the chaff of countless bug fixes and internal code changes. Consequently, trying to concentrate on the more useful and important tidbits — from an average user’s point of view — like changes in UI or behavior, is tedious and tiring. Agile Web Solutions have found a nifty fix for this problem: they label each item in their release notes with colored “New,” “Changed,” and “Fixed” tabs. By scanning for the “New” tabs, you can easily discover new features in the software that you may want to try out and, possibly, learn how to master. “Changed” notifies you of changes to existing features that you may already be using, so that you can quickly learn how to adapt to these changes. And finally, chances are that you can safely skip any items labeled “Fixed,” unless you have been plagued by a certain bug and you now want to find out whether this bug has been fixed yet. To make these labels truly useful to the user, it is essential that the categorization reflects how the application has changed from the user’s point of view. Any modifications like code optimization, data schema changes, protocol adaptations, etc. belong in the “Fixed” category unless they require the user to take action because of them. 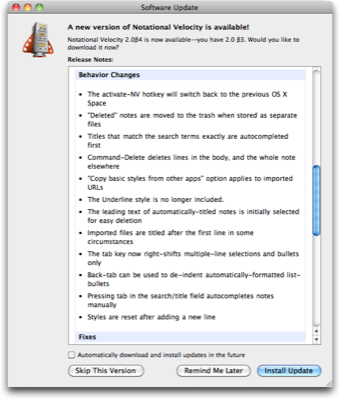 For release notes as extensive as Omni Focus’ software’s, labeling each and every bullet item would amount to visual overkill, but separating these bullet items into three categories “new,” “changed,” and “fixed,” should be perfectly feasible. Detailed release notes are a valuable part of the overall documentation of a software application. 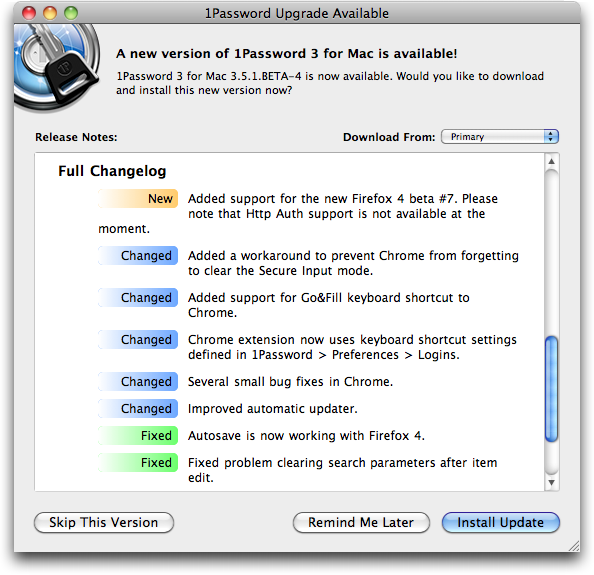 Classifying the list items as “New, “Changed,” and “Fixed” would make even lengthy, verbose release notes more easily digestible for average users while, at the same time, keeping the information they contained as detailed as expected by expert users and developers. All of the items found in “New Additions” and “Behavior Changes” do affect how the user interacts with the application, and do not reveal any under-the-hood details related to these changes. Such technical details are found exclusively in the “Fixes” section, which refers to, e.g., proxy servers or programming frameworks — terms and concepts that may confuse average users. Unfortunately, the notes for the update shown here include an important note about compatibility issues, which is placed at the very bottom of the release notes. Users who only take a casual glance at the release notes before hitting Install Update will likely miss this note. This pitfall could be easily avoided by placing warnings like this one at the very top of the release notes. Some details for those of you who are familiar with OmniFocus: With version 1.8, projects and project groups have become actionable, so that both can now show up in lists when viewing “remaining” items. Since I use projects and action groups solely for structuring individual actions, I hardly ever assign contexts to either. As a result, after I had upgraded to OmniFocus 1.8, the list of items in the No Context meta-context had become so huge as to be useless: the few actions that did actually require a context were buried in the countless projects and groups that could very well live without one. Setting up a new desktop printer is easy: remove the printer from its box, insert ink or toner cartridges, plug in the power cord, connect it with the computer, and select the printer driver. That’s straight-forward enough that some users may choose to skip reading the installation manual altogether. Depending on the model, however, there may be some setup details that need special attention. Pointing these out to the user is as easy as putting the required documentation in the right places. A printer model I set up recently, ships with a set of “special ink cartridges [included] inside this box for use during the initial setup process.” I don’t know how these cartridges differ from “normal” models in terms of technical details, but the printer is supposed to be operated with these cartridges first. To ensure that even users who choose not to read the installation manual, are made aware of this requirement, the manufacturer has placed a little note right inside the ink compartment: open the compartment, and you cannot not discover this information. Besides explaining about the special type of ink, the note also points out where to find the cartridges inside the printer’s shipping box. 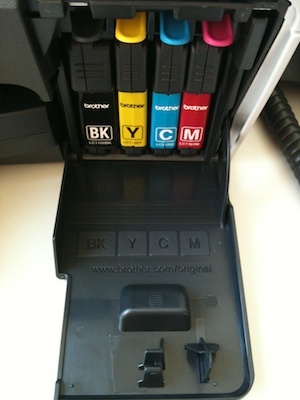 The ink cartridges themselves feature both colored labels and big letters for identifying their contents. 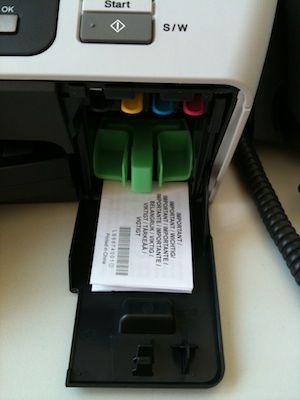 The printer’s cartridge release tabs are died in plastic matching the color on the cartridge label, and the letters identifying the colors are molded onto the inside of the ink compartment’s door. Right below the letters is a URL pointing to the page about printer supplies on the manufacturer’s website. Don’t hook me up just yet! 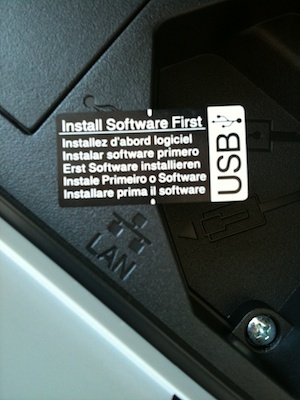 Usually, the driver software that ships with a hardware device must be installed before plugging in the USB cable between computer and device.3 To ensure that the user follows this order of steps during the installation, this particular printer features a small sticker tab placed right above the USB socket. When trying to hook up the printer, the user cannot help but notice the sticker and its “Install software first” reminder. Once she’s found and (hopefully) read it, the sticker peels off easily, providing unobstructed access to the USB socket.